Leeds: Casilla, Ayling (Dallas 77), Cooper, Jansson, Alioski, Phillips, Klich (Clarke 77), Roberts, Hernandez, Bamford, Harrison (Douglas 57). Subs: Peacock-Farrell, Berardi, Shackleton, Gotts. Sheffield: Henderson, Baldock, Stevens, Cranie, Fleck, O'Connor, Basham (Lundstram 90), Egan, Norwood, Sharp, McGoldrick (Dowell 88). Subs: Hogan, Coutts, Stearman, Duffy, Moore. 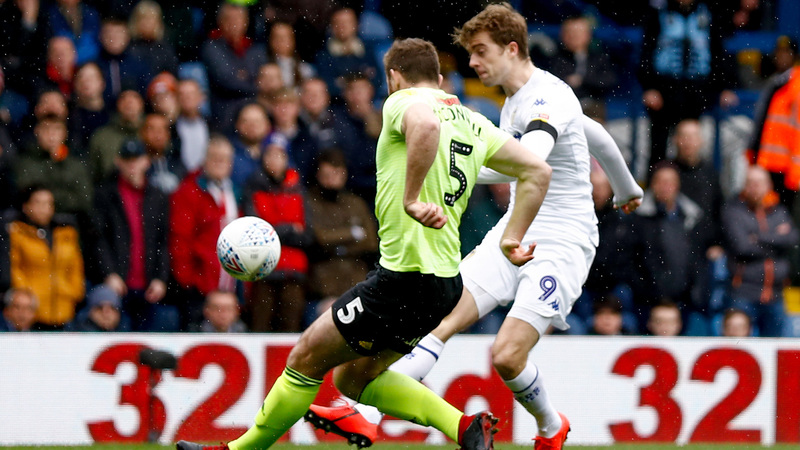 Leeds United suffered a blow in the race for promotion from the Sky Bet Championship, as Sheffield United ran out 1-0 winners at Elland Road. Ahead of kick-off, a minute's applause took place to remember former Chairman Bill Fotherby, who passed away earlier this week. Leeds had the first chance of the game inside a minute, Tyler Roberts broke forwards before finding Patrick Bamford who had a strike blocked. 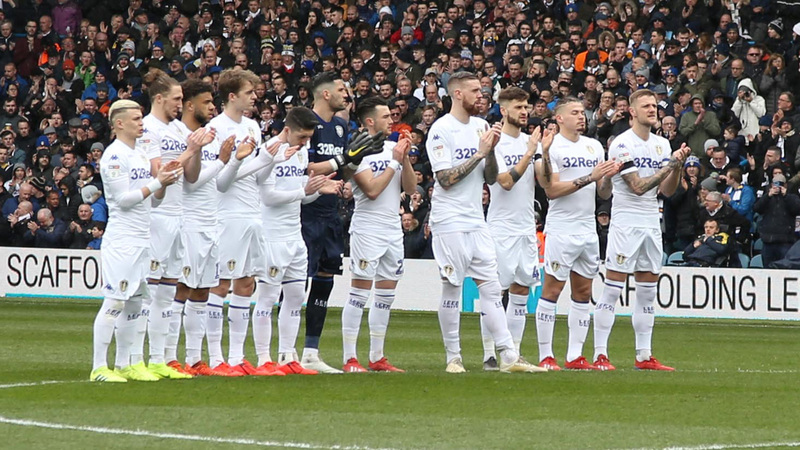 Oliver Norwood struck over from long range for the visitors, before Pablo Hernandez got to the byline and teed up Bamford, but he saw his strike superbly blocked. Leeds had a great chance to take the lead in the 14th minute, Mateusz Klich teed up Jack Harrison, but he could only volley over from close range. Hernandez then played a long through ball to send Bamford into the penalty area, but he couldn’t keep his strike down. Pontus Jansson saw a penalty appeal turned away after he got forward, before Ezgjan Alioski put a good cross into the box from the left which was headed just wide by Roberts. Norwood struck a well placed Blades free-kick into a Leeds wall, before the Whites again threatened, Luke Ayling broke down the right and played the ball into the box, Klich stepped over it when well placed and Alioski fired over. Sheffield United threatened as the break approached, first from a corner, when a goal mouth scramble ended up going just wide of the Leeds goal. Norwood then found Billy Sharp making a good run, but his strike deflected wide for a corner. In stoppage time the visitors had another chance, David McGoldrick played in Chris Basham who appeared to be offside, he then rounded Kiko Casilla and found a narrow angle. He then tried to find Sharp with a pass, but Liam Cooper was on hand to clear up. After the break, Kalvin Phillips struck from range, but he couldn’t keep his effort down. The visitors then went close when Sharp teed up Norwood, but he scuffed his attempt off target from the edge of the box. Just before the hour mark, Leeds had a great chance to take the lead. Klich did really well to get to the byline, before teeing up Roberts, but he saw his strike come back off the post. However, the killer blow came in the 71st minute. Sharp got in behind the Leeds defence, before playing in Basham who slotted past Casilla. With Leeds having made all three substitutes, Pontus Jansson picked up an injury, so went up front. He had a great chance to equalise with five minutes remaining. Substitute Jack Clarke put in a great low cross, but Jansson could only fire wide. The Whites threw the kitchen sink at the Blades to no avail and late on were caught on the counter attack, with Sharp going through on goal, but he was stopped by Casilla who was shown a straight red card for a professional foul, ending a miserable afternoon for the Whites who slip to third.